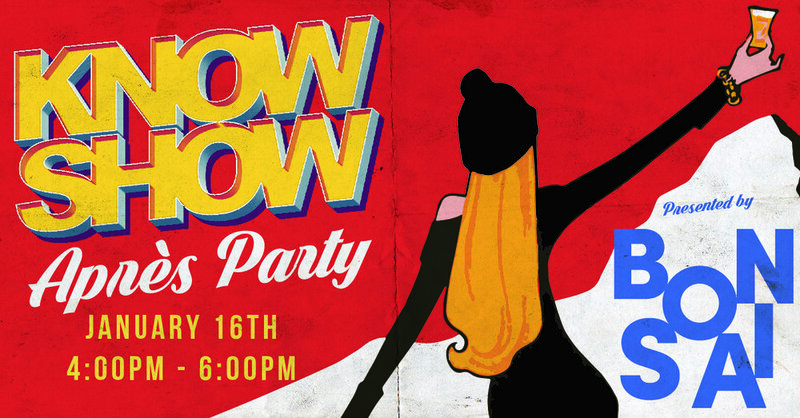 The KNOWSHOW Après Party, presented by Bonsai, on Wednesday, January 16th from 4:00PM - 6:00PM. Join Bonsai for an Après party to celebrate a great day of sliding through the show. Complimentary food and drinks to be served in the KNOWSHOW bar!